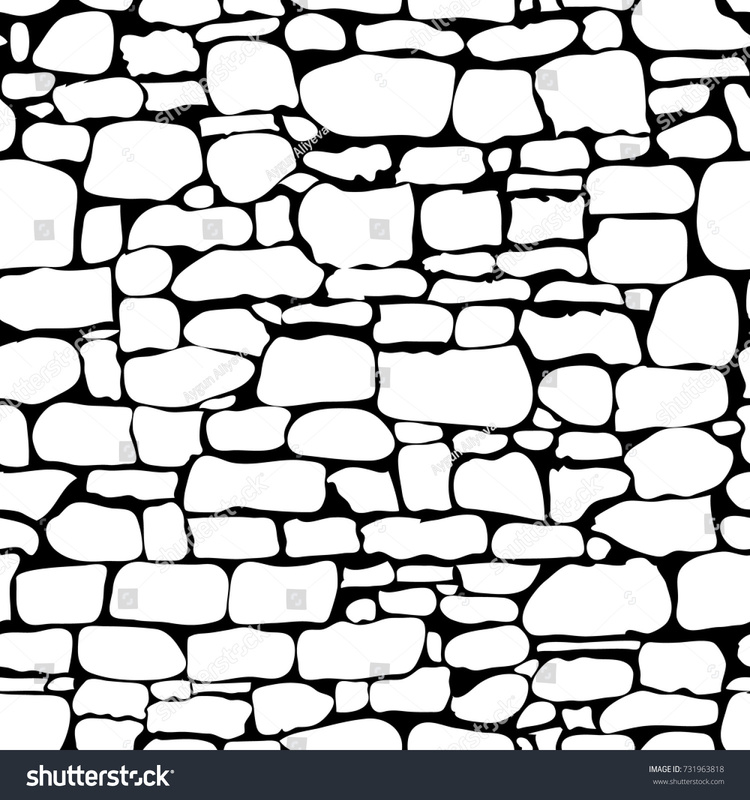 Convert a photo of a stone wall in basic vector shapes of stone? How can i use a this photo for example and transform that into something like the second example ? 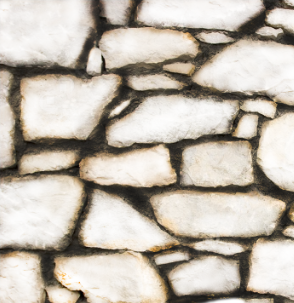 I only need the basic shapes of the stones in the wall. I'm working with corel draw but examples anda ideas from different software are welcome to. This method is similar to Lucian's in that it uses auto tracing, but the preparation is different, and it will take longer. So if you have some spare time on your hands, read on . 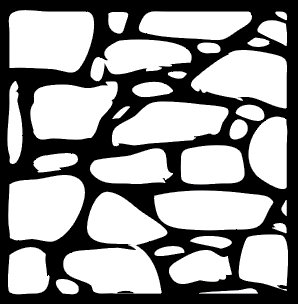 . .
Open the image in a raster image editor such as Photoshop or GIMP etc, then using the burn tool with a soft edged/fuzzy brush, darken the shadows of the outlines, and similarly using the dodge tool, brighten the inside of the stones, to create better contrast. Obviously this is a manual process (like painting), and it will take a little while. It doesn't have to be very accurate, so don't stress! Then import the raster image into your vector software. In the example below I used Illustrator. You could also use Inkscape, and I would assume CorelDraw would be similar, and then auto trace the image. For smoothing the shapes, you could simplify the paths. Again, most vector software has a simplify function. I think the same function could be called "trim" in some older versions of CorelDraw. And here's the final result with a black border around it. The result will highly depend on the settings you use for each of these steps, so this would be a bit of a trial and error, but here's a 1 minute quickie. Possibly other ways to approach this. If the stones must be separate, you must draw them. It's clicking with the pen tool in Corel Draw or with point-to-point polygonal selection tool in a photo editor. 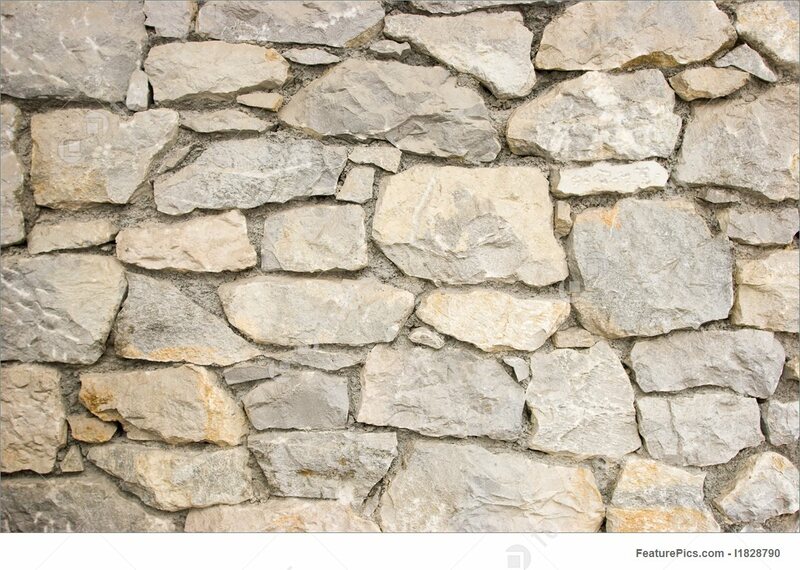 No need to be exact, but obey coarsely the stone edges because you will get plausible result. 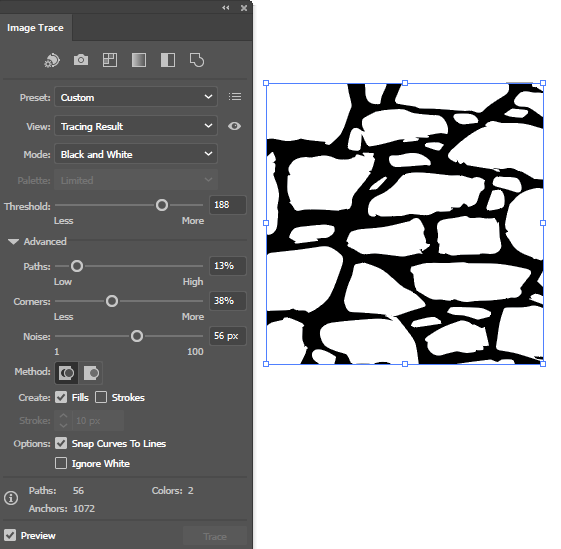 In a photo editor you can actually have the stones in one layer and paint to the cumulated selection into a new layer with the paint bucket after selecting around say ten stones. If your photo editor is Paint Shop Pro, you have less tools, but it's freehand selection lasso seems to be excellent when one draws around the stones and the result need not to be pixel perfect. It makes plausible stones without smoothing. But there's also point-to-point clicking selection mode and selection smoothing tools. It can be better to fill the areas as sharp and then select the emptiness around the stones with the magic wand, refine the edge and press DEL. Save also a layer copy with sharp edges. You can trace the BW image in Corel Draw if you made it in photo editor. Tracing settings affect radically to the result. 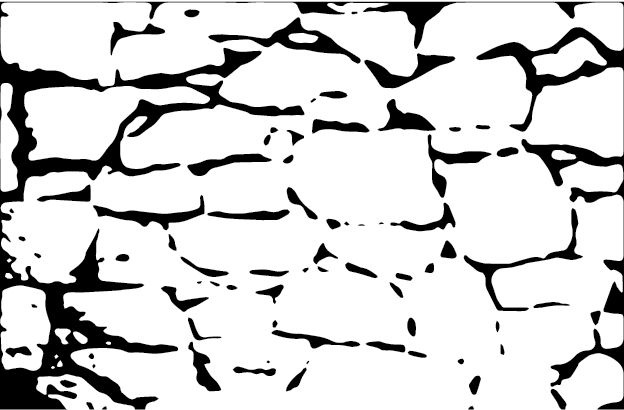 Unfortunately I haven't current Corel Draw so I'm not aware how one makes stones smoother if they are polylines with sharp corners (=drawn by clicking only). In ancient Corel Draw there's only one corner at a time curve editing tools. Not the answer you're looking for? Browse other questions tagged adobe-illustrator corel-draw or ask your own question. How to fill an area bounded by some lines? How to automate the process of filling diplomas? How can we change outlines into shapes in Illustrator?